NCDOT’s goal is to finish repaving an 8.5-mile stretch of I-40 before the end of the year, Abbott said. The work is part of the department’s larger Project Fortify, a 10-year plan involving the repaving of portions of I-40 and I-440, the extension of lanes between ramps in each direction and the reconstruction of 14 bridges. I-440 connects to I-40 at the southeastern edge of Raleigh and forms a half-loop around the city. I-40 has between three and five lanes moving in each direction, depending on the section of the route. Abbott said that three lanes in each direction remained open every day during the repaving process. For portions of I-40 that have only three lanes, road crews completed one lane at a time overnight. Construction teams rebuilt the road starting from the outermost lanes, Abbott said. One of the reasons NCDOT kept three lanes open during the day was to minimize congestion on this portion of I-40, which Abbott said sees over 140,000 vehicles a day. NCDOT conducted a public awareness campaign alerting organizations in the area that I-40 would be narrowed as it was being treated. Abbott said that NCDOT led hundreds of meetings. Companies changed their work schedules and the public transit system set up another bus route to accommodate for the restricted space on I-40. As a result, traffic stalled to a lesser degree than NCDOT had anticipated, Abbott said. One of the groups that helped NCDOT during this project was North Carolina Trucking Association. NCTA President Crystal Collins said the association diverted industry traffic from the work zone. Collins said she hopes the completion of this road work means that resources will be directed to other issues, such as increasing the availability of truck parking spaces. Road teams are working behind Jersey barriers as they repave I-40. When they complete a segment, plastic traffic barrels replace the concrete barriers. According to Abbott, travelers have felt so liberated by the absence of the Jersey barriers that a number have been caught speeding down the newly paved interstate. I-40 is an important route for trucking. 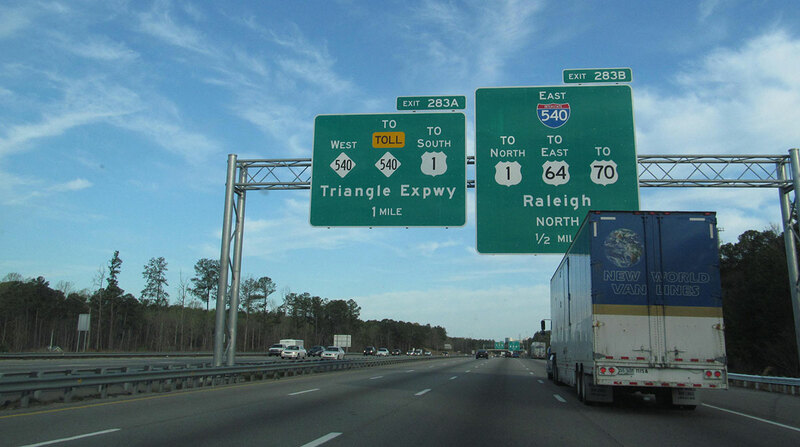 Collins cited a study from North Carolina State University stating that 30% of traffic from the trucking industry occurs at the six-mile junction between I-40 and I-95. Furthermore, I-40 is crucial because it links many cities in the state to the Port of Wilmington, Abbott said. According to the Port of Wilmington’s website, the port’s cranes deliver more than 45 moves an hour, and truck turnaround times average 18 minutes for a single move. Abbott said I-40 also links to other major routes, such as I-85 and I-77.